Notes: Counts are based on responses from 45 participating states only. 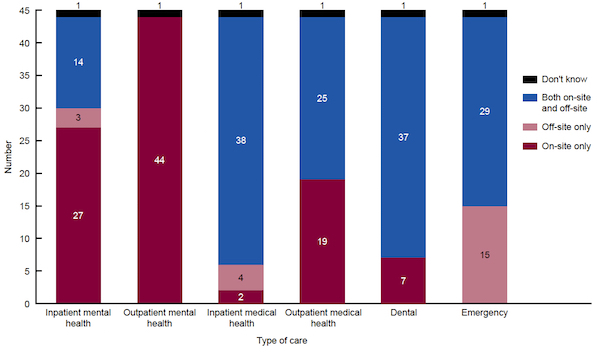 Data Source: NCHS, National Survey of Prison Health Care, 2011. This entry was posted in Medicine and Society Data Watch on August 10, 2016 by Christopher Barbey.